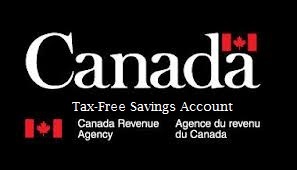 I had a nice conversation this morning with a chartered accountant (CA) with who I work regarding assessments raised by the Canada Revenue Agency (CRA) relating to the Tax Free Savings Account (TFSA). I made notes of the conversation, then called the CRA to run the scenario by them. They agreed with this process. These recommendations are just that, recommendations, relating to relief for those assessed with penalties for over-contributing to their TFSA. Also make sure to include a copy of the letter you received from the CRA notifying you that you are being charged penalties for the TFSA account. Unlike a Taxpayer Relief application available in the Income Tax Act (ITA) and Excise Tax Act (ETA) there is no formal relief process known to be used by everyone currently, so this soft approach has been used and with success. The CRA may, at their discretion, lower or completely reverse the assessed penalty, or they may send you back a letter asking for payment of the penalty. It is certainly worth an attempt. If you have been assessed a penalty for over-contributing to your TFSA and are either too busy or would prefer the letter be written by a professional firm, please contact us and we would be more than willing to assist you in this process. Mailing to Supressed Holders – CRA and MRQ. Have you ever wondered if you are required by law to mail out a tax slip to an individual / entity even though in doing so you know it will be returned by the post office marked as “undeliverable”. Q1: Is there a requirement to mail tax forms to suppressed holders? A1: Yes. There is no statutory exception to this requirement. The forms specifically mentioned included; the T5, T5008, T4, T4PS, T4RSP, T4RIF, RSPR, T3, NR4, T5013 and T101. Q2: Will the government excuse you from mailing to suppressed holders if the issuer/client advises you not to mail them / their clients? A2: No, the obligation to mail is yours, because you make the payment (e.g. dividend or interest). In fact, if there were a penalty charged for failing to provide a tax slip, it would be on you, not the entity or person advising you. Q3: Is the requirement to mail absolute regardless of the dollar amount, or is there a dollar amount threshold? For example, don’t have to mail unless the aggregate amount paid to a holder is greater than $50.00. A3: There is a $50 threshold for T5 reporting (that is, the CRA does not require that a T5 be prepared if the amount of the payment was less than $50). For the other tax forms, there is no threshold. Q4: What about prior tax years? Do we have to mail these prior years’ tax forms if requested? A4: There is nothing in the Income Tax Act which would alleviate the responsibility to provide prior year forms and failing to provide one may result in a complaint and subsequent audit. Q5: What is the situation with respect to suppressed holders under the Quebec income tax regime, the MRQ? A5: Similar to the Federal Income Tax Act, under the Quebec income tax regime (a) there is a requirement to mail the tax forms and (b) you are not excused from mailing if the issuer/client advises you not to mail. Author Warren OrlansPosted on April 19, 2010 April 20, 2010 Categories MRQ, taxation, TaxationTags file, filing, legal, mailing, minimum, MRQ, penalty, prior years, requirement, supressed holders, T5, Taxation, thresholdLeave a comment on Mailing to Supressed Holders – CRA and MRQ.